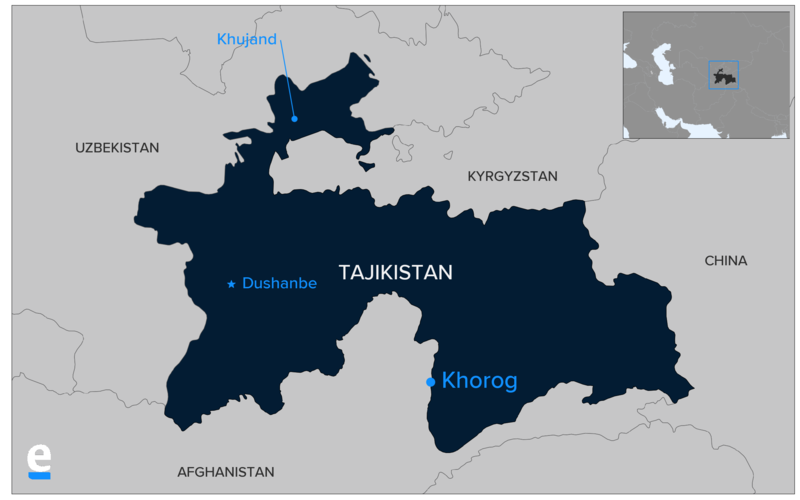 For around a week, reports have been trickling out of Tajikistan’s remote eastern Pamir region of a looming security crackdown by government forces. “There are 2,000 government employees in Khorog, and you cannot even deal with five or six criminals? I will take responsibility for this myself – if you need, use live arms,” Rahmon told an ashen-faced row of security chiefs in televised remarks. The specific source of unhappiness for Dushanbe, as in 2012, is the role said to be played by local informal leaders – the “five or six criminals” alluded to by Rahmon – whose authority is believed to often outweigh even that of the government. Officials have let the central leadership down by playing a “double game” and dealing directly with these figures while assuring the government in Dushanbe that the situation was under control, Rahmon claimed. By most accounts, these informal leaders are engaged in an array of illegal practices, including smuggling, but they nonetheless enjoy considerable local support; indeed, they are often seen as protection from the central government. 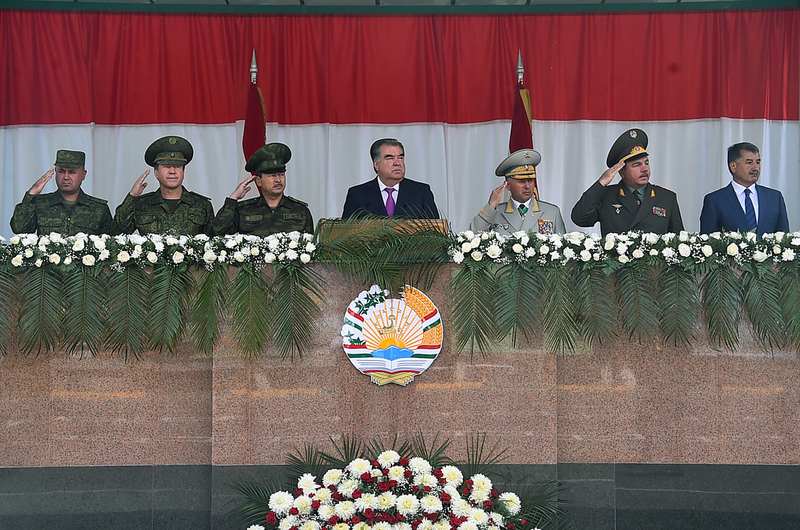 A series of high-level personnel reshuffles were carried out following Rahmon’s angry speech. GBAO governor Shodihon Jamshedov appointed three new deputies and a head of the regional court. The man appointed first deputy governor was Alisher Mirzonabotov, who had been deputy head of the regional branch of the State Committee for National Security, or GKNB, since last September. Also, an outgoing deputy Interior Minister has been made head of police for GBAO. Khorog mayor Arambegim Mahtobshozoda, who had been in his post for two years, was fired on September 19. On September 14, Rahmon officially inaugurated a GKNB border guard training center in Khorog. The garrison can accommodate up to 480 people. He also opened a new building for the military prosecutor’s office and laid the foundation stone for living quarters for military officers. The account laying out all these details, as compiled by the president’s official website, was to convey the sheer volume of resources being devoted to the security presence being installed in GBAO. This even included a reminder that the canteen for border troops could accommodate 500 people and that troops were provided three square meals daily. “Those forces that are here now, let them stay. May they enforce order, and then they can leave,” Rahmon said, setting October 15 as a deadline for bringing the region to heel. 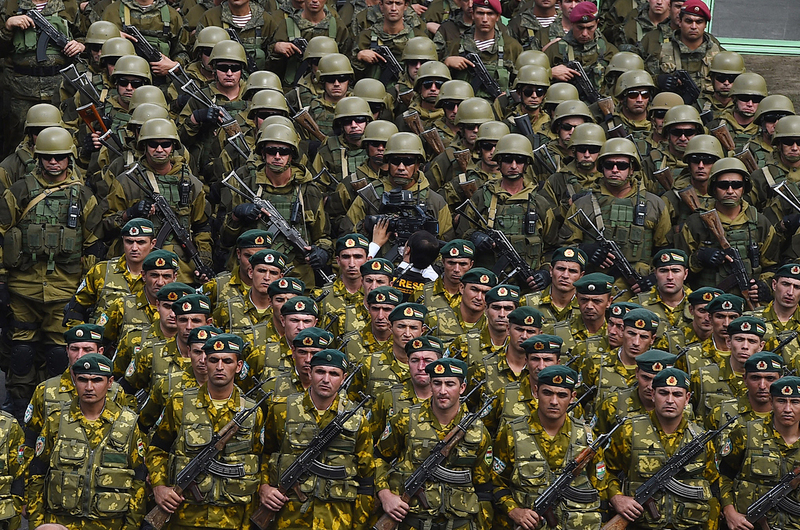 A military source told Asia-Plus newspaper on September 19 that there are no plans to dispatch additional troops to GBAO as part of measures to implement Rahmon’s demands. The current security presence will be sufficient, the source said. Crucially, those negotiations were brokered by representatives of the Agha Khan, the wealthy Europe-based philanthropist deemed by the Shia Ismailis of the Pamirs to be a spiritual leader. It is clear that the face-reddening climbdown has rankled with Dushanbe ever since and that Rahmon’s remarks indicate he intends sooner rather than later to finish off the job. Analysts have long been predicting a potential resurgence of unrest. In a report published in March, the International Crisis Group warned that GBAO’s informal leaders, which it said are known locally as the Authorities, are well prepared for such an likelihood. “If clashes erupt, the Authorities can muster dozens of unemployed youth from Khorog and its environs, in addition to their regular gunmen,” the report said. One theory is that Dushanbe is incensed by genuine cases of brazenness among the informal leaders. RFE/RL’s Tajik service, Radio Ozodi, reported on September 19 that Ayombekov was forced to deny claims he physically assaulted the GBAO governor, Jamshedov. “There was no slap. We went to the head of the region to discuss the situation with prisoners. In the pretrial jail they beat up our guys, our relatives. We just demanded that the authorities take measures and monitor how people are being detained,” Ayombekov told Radio Ozodi. “Rahmon is expected to hand over power to a younger family member. A rocky transition could lead Gorno-Badakhshan powerbrokers to seek a more influential role in the new dispensation. Their track record suggests they may be willing to use force to achieve their ends,” the ICG report noted.